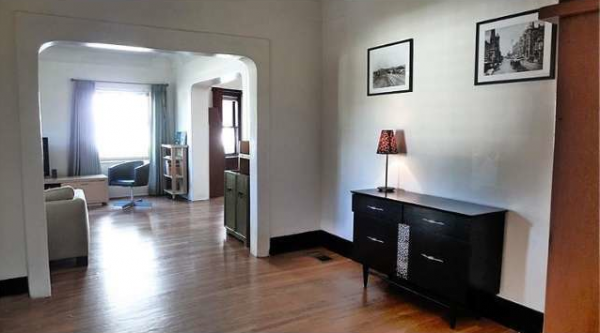 Home » Echo Park Homes For Sale » 1442 West Sunset Blvd. 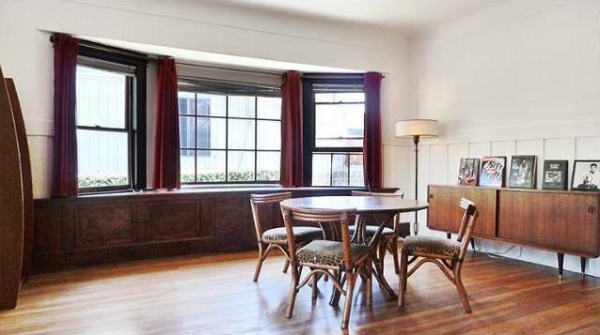 If there are 2 things going for this large 1909 Craftsman — it’s great bones and a lot of promise. 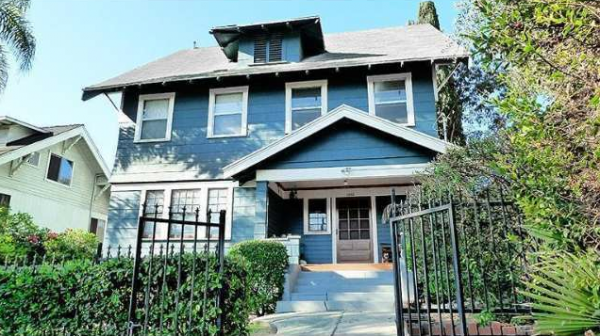 Centrally located between Dodger Stadium and Echo Park Lake in historic Angeleno Heights, this 4 bedroom, 3 bath dwelling maintains much of its classic style, possibly too much, but we’ll get there. At just shy of 2,100 sq./ft. and coming to market at $799,000, a lot of living can be had in this home. With its finely-crafted wood bay window, brick fireplace, and wainscoting, the dining area feels like the true heart of the house and is sizable enough for entertaining large parties around a grand dining table (definitely not pictured). Just for perspective, here is another shot of the dining room. 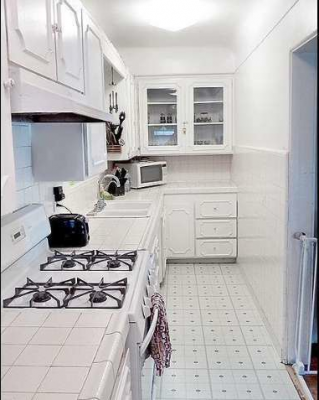 For a larger home, the galley kitchen certainly feels a bit tight and most in need of an update. On the bright side, you can easily see any crumbs or spills from the white-on-white paint and floor action, and there is a suitable eating area off to the side. 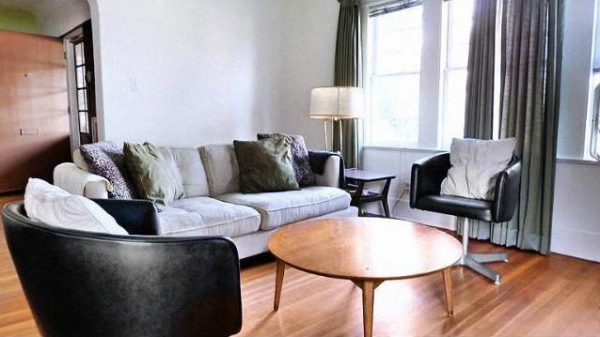 Both floors have hardwood throughout with the first floor boasting both a living room and office/den/man cave. 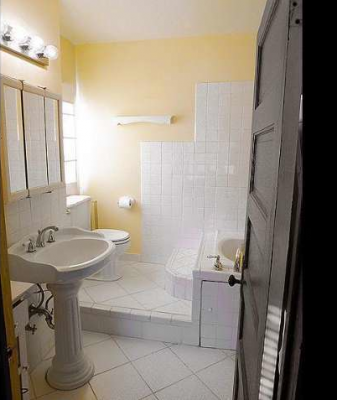 In addition to updating the kitchen, the bathrooms — while certainly serviceable — could also use a bit of a makeover. 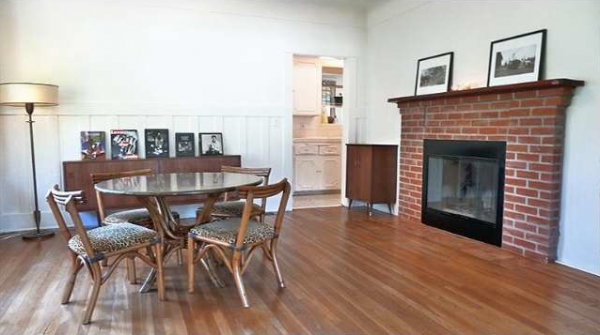 Generally though, this is a great home for a large family or someone with A LOT of stuff. 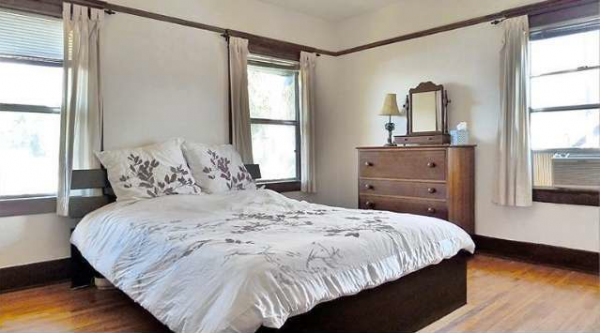 The bedrooms are a good size and there is also an attic that can be used for extra storage. Anthony Altieri of Podley Properties has the listing.